There’s more to knit tops and sweaters than just pullovers and button-up cardigans. There are a variety of designs, necklines, and fasteners. 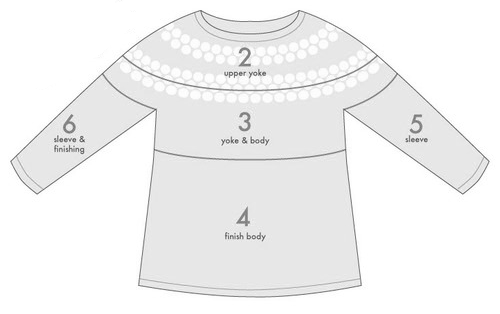 Here’s everything you ever wanted to know about knit tops and sweater styles. 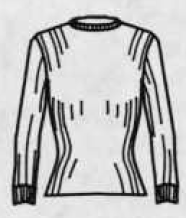 A shrink sweater is a long sweater that covers the buttocks or “fanny”. A poor boy shirt is a pullover of rib knit to be form fitting. 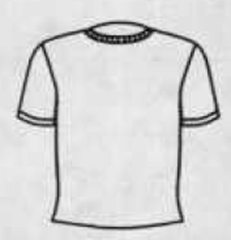 They usually have a round neck or turtleneck and long or short sleeves. A sweatshirt is a pullover or fleece-backed heavy knit top with a ribbed neck, wrist, and waistband. 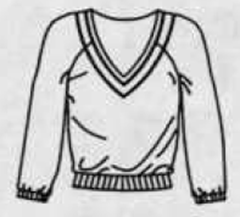 A shrink sweater is a sleeveless pullover sweater with the look of a short vest. They usually feature wide ribbing extending from below the bust to the waist. A ski top is a heavy pullover sweater. 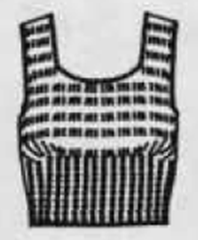 They are frequently a striped or elaborately patterned sweater in Jacquard knit. A T-shirt (or Tee) is a knitted pullover shirt with a ribbed crew neck and short or long sleeves. They are usually made of cotton or a cotton and polyester blend. 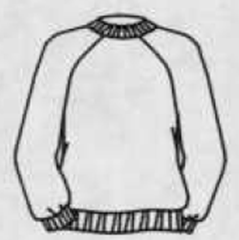 They may also be referred to as a crew or crew-neck shirt. If the length is extended, they become a T-shirt dress. 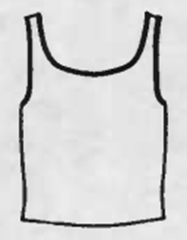 A tank top is a knitted pullover shirt with a scooped neckline and large sleeveless armholes. They may also be called athletic shirts or singlets. 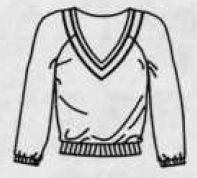 A tennis top is a pull-on, long-sleeved sweater with a V-neck. 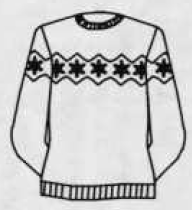 They sometimes include a cable-knit pattern. 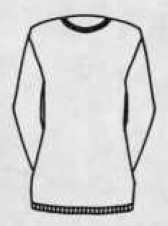 They are usually white with narrow bands of color at the neck and wrists. 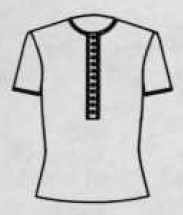 A henley top is a knitted, short-sleeve, pullover shirt, collarless, with a buttoned placket front. 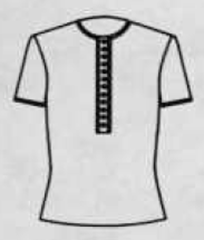 Variations of the henley shirt include Wallace Beery of narrow rib knit with long sleeves and narrow self-binding at the neck, and skivvy (i.e. sailor’s undershirt) with a bound neckline and tiny placket opening in front. A letter top is a bulky V-neck cardigan, shawl-collared cardigan, or pullover sweater with school emblem of letter on the left front chest. 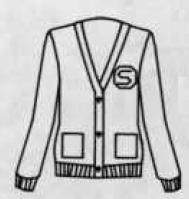 They are also called letter seaters, award sweaters, or school sweaters. 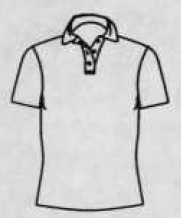 A polo top is a knitted pullover shirt with a single-layer knit, square-cornered collar, and buttoned placket front.